To Sylvia Fierro, relationships matter. In fact, in real estate as in life, they’re everything. The excitement of helping people make one of life’s biggest investments, keeping a client’s bests interests at heart, is what drives Sylvia. It’s why she invests all her energy, every day, making sure her clients have all the information they need, and more, to make confident and informed decisions. And it’s why many of her clients become life-long friends. 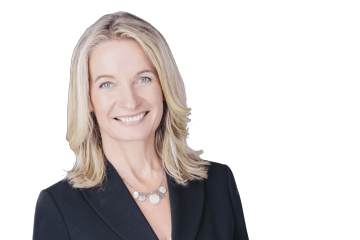 Fun to work with, Sylvia takes great pride in helping her clients understand all facets of a potential real estate investment – the positive, negative and any potential risks. An expert in the markets she serves, including Vancouver’s Westside, Eastside & Downtown, Sylvia has the confidence and experience to get the job done right for clients. But in Vancouver’s often challenging real estate market, you need a Realtor with more than just experience. You need a skilled negotiator, someone with relationships, rapport and a sterling reputation throughout the industry. And you need someone easy to work with, an exceptional listener, a professional that makes the entire process of buying or selling an enriching one. In short, you need a Realtor like Sylvia Fierro. I have known Sylvia for over 10 years and I cannot imagine entering into a real estate transaction without her involvement. Sylvia has been highly instrumental in the purchase of my home as well as numerous investment properties over the years. Her honesty, knowledge of the real estate market and work ethics has enabled me to buy and sell real estate with confidence. Without hesitation, I highly recommend Sylvia’s services for any of your real estate needs.